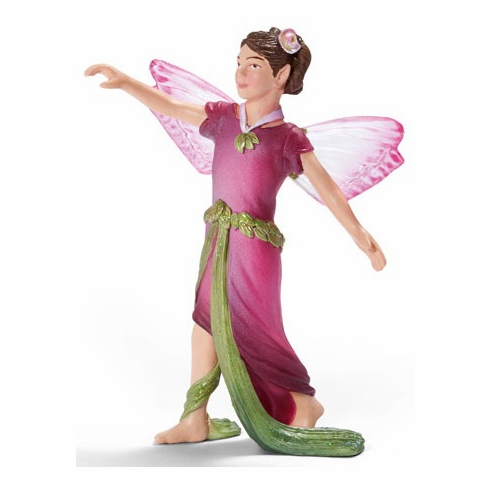 The magnolia elf loves dancing across the lovely summer meadows with their wonderful blossoms. She knows every flower in the meadow and forest. She likes to gather them up into beautiful bouquets. Her soft wings gleam in the sunlight when she flies around her flower house. Schleich Magnolia Elf measures approximately 3.3" tall.